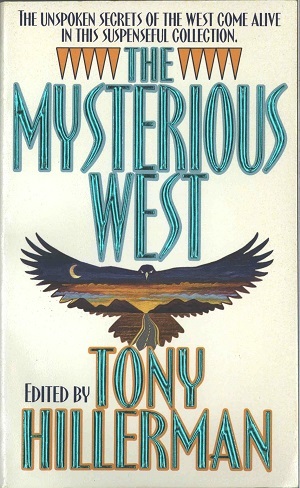 This is the HarperPaperback edition of The Mysterious West. This 1995 edition was published by HarperPaperbacks in New York City, New York. The cover art was completed by Peter Thorpe and features a road leading into a southwestern sunset within the shape of a bird of prey. Binding: Full-colored paper covers with the publisher's logo, title, and editor printed on the spine.